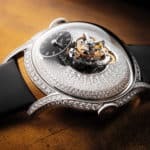 Maximilian Büsser’s latest vision has opened up a whole new market for his company, 14 years after his start in this exciting watchmaking endeavor. 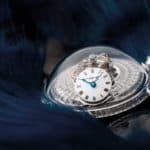 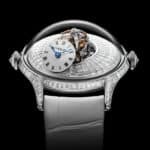 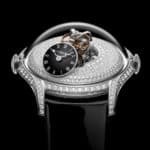 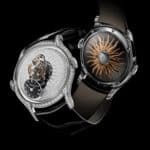 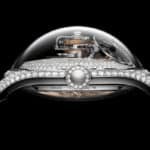 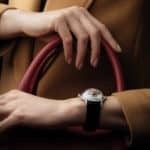 Büsser has overseen the creation of the new MB&F Legacy Machine FlyingT, an extraordinary watch, designed for specifically for women, that’s unlike any other watch out there. 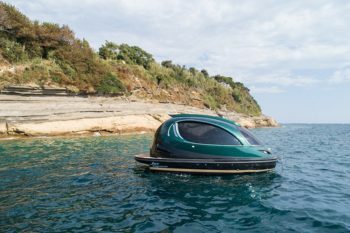 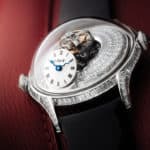 There’s a small resemblance with the watchmaker’s well known Legacy Machine series, but the new FlyingT comes as a total redesign. 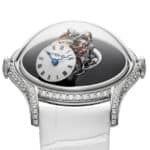 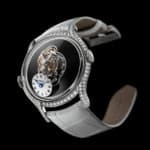 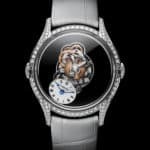 The case has been reduced to 38.5 mm in diameter, a size that’s a lot better for a lady’s delicate wrist, with a steeper side for the sapphire dome, under which the flying tourbillon mechanism fits very well. 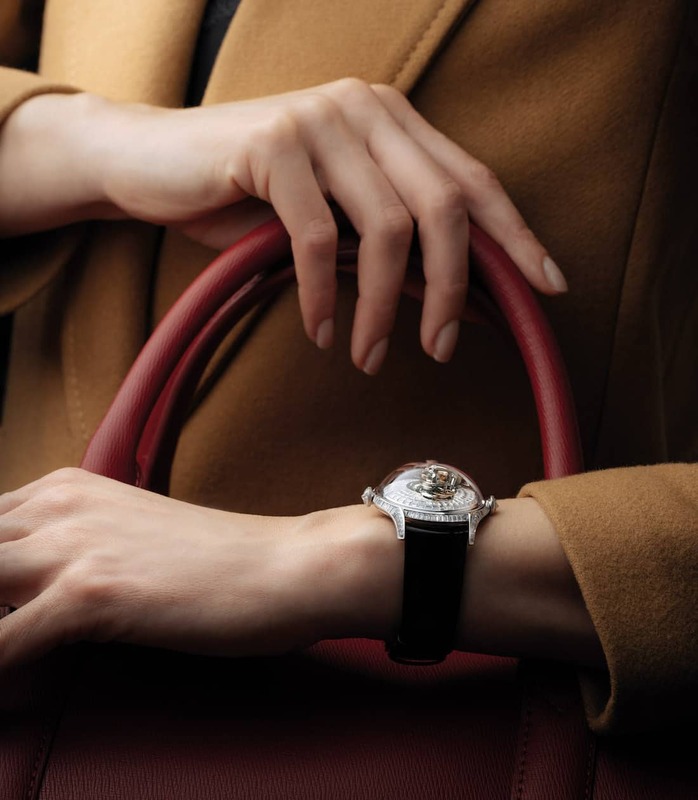 Each case model is adorned with numerous diamonds, one with baguette-cut stones and the other two with paved gems. 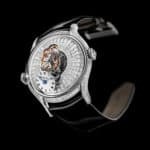 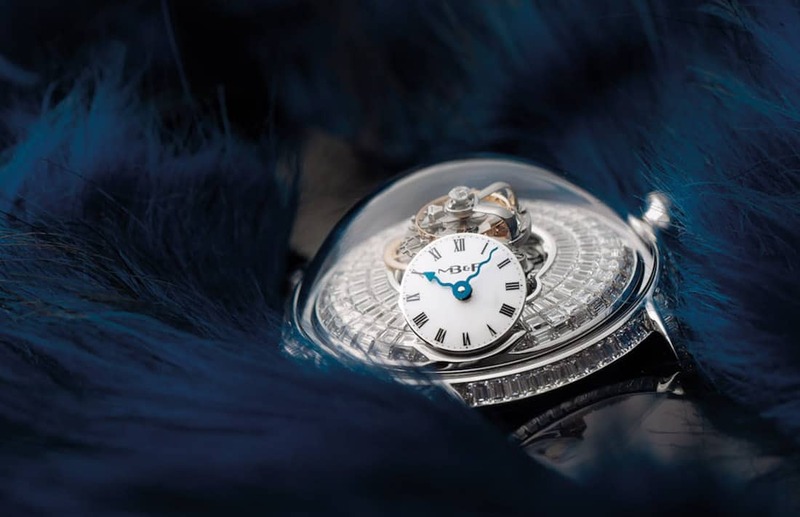 The case also comes with two crowns, at the 3 and 9 o’clock, the first for time setting and the second one for winding. 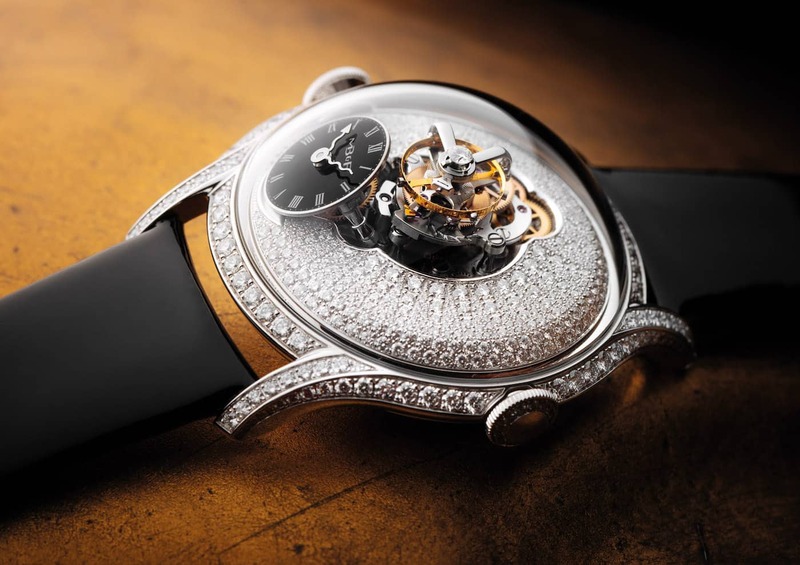 As for the dial, there is the option of choosing a gem or diamond-paved one or a black lacquer variant. 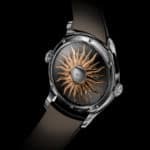 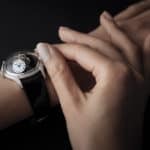 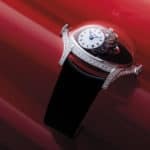 The number of stones is different depending on the version you’re going for, and most probably on the price one’s willing to pay for the watch, with the black lacquer edition being the more affordable of the three. 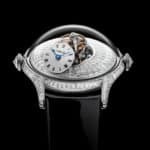 The MB&F Legacy Machine FlyingT timepiece will set you back $115,000 for the Black Lacquer version, $145,000 for the Paved version and a cool $315,000 for the baguette cut version.